House flies are generally attracted to garbage, decaying foods and feces, but are quick to feed on any exposed foods, leading to the spread of diseases. House flies are the most common pests among humans. They measure between 4mm to 7mm and have bulbous, reddish-eyes and sponge-like mouths. Typically found in urban and rural areas near humans, house flies often feed on any suitable food source and can be a carrier of diseases because of it. House flies measure between 4 mm to 7 mm, with females usually being larger than males. They have bulbous, reddish-eyes, sponge-like mouths and are often gray to black with four dark stripes on their upper body. House flies are the most common pests among humans. Typically found in urban and rural areas, as their larvae grow best in human garbage, decaying foods and feces. They are most likely around dung heaps, garbage cans and roadkill. 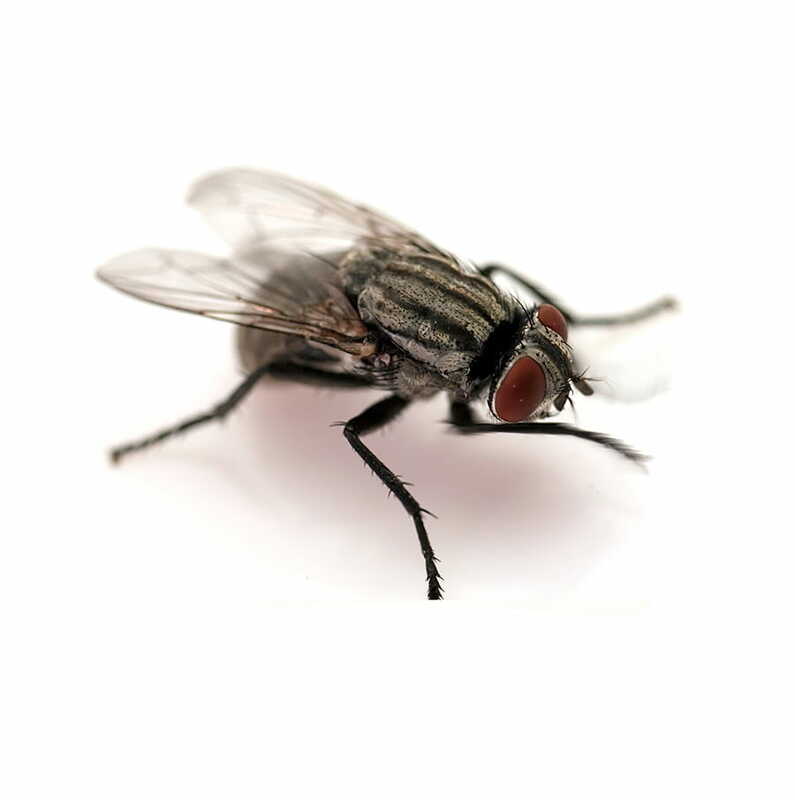 House flies like to lay their eggs in any warm material such as manure piles or decaying foods. They will go through a complete metamorphosis from egg, to larval or maggot, pupal and finally the adult stage. In warm summer conditions, they can complete this life cycle in as little as seven to ten days. House flies usually live 15-25 days but can live longer on suitable food sources, especially sugar. Without food, they can only survive about two to three days. How do l recognize a house fly? Where am I most likely to find house flies? 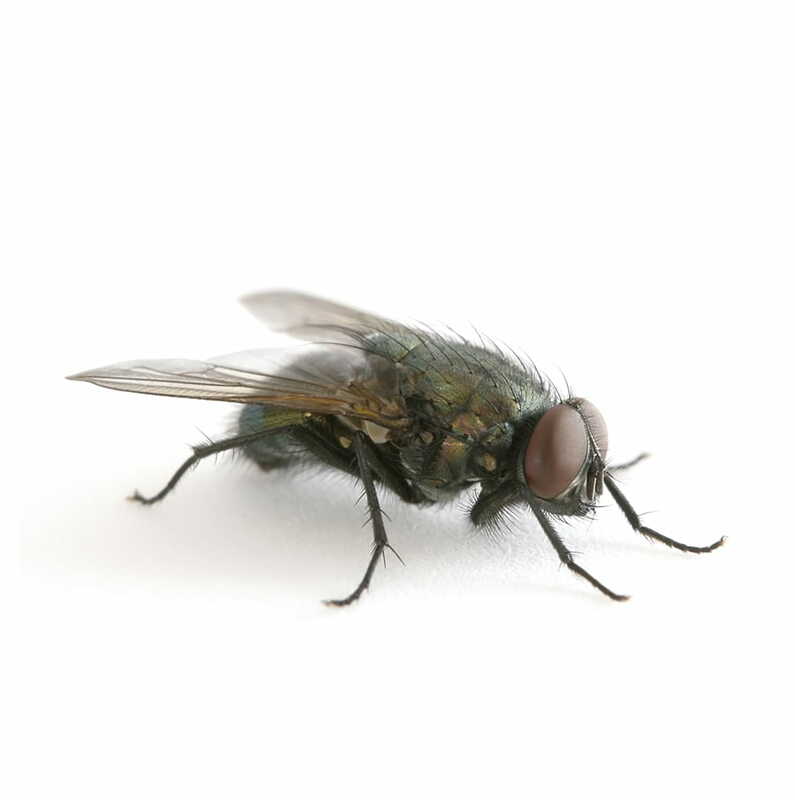 House flies are most active during the day, often seen resting on floors, walls and ceilings. At night, they can be found close to food sources. Are house flies hazardous to humans? Yes. 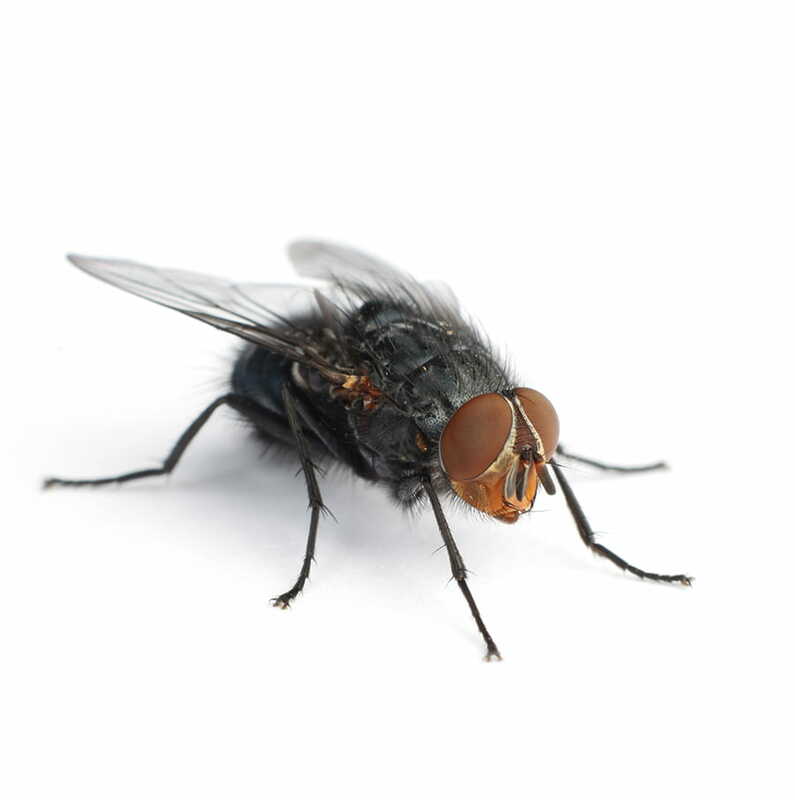 House flies are generally attracted to garbage, decaying foods and feces, but are quick to feed on any exposed foods, leading to the spread of diseases.